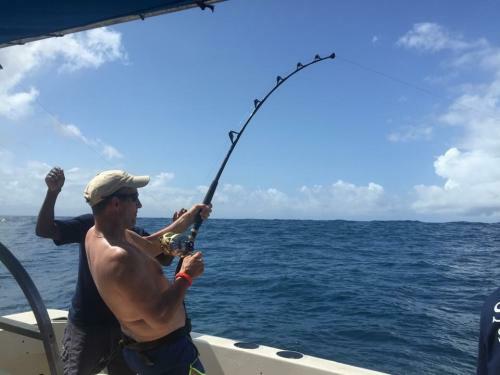 Alain Marie-Jeanne, La Rochelle’s captain, has participated in numerous fishing tournaments, achieving notable results in three Championnat de France big game fishing tournaments, and two Championnat d’Europe big game fishing tournaments. 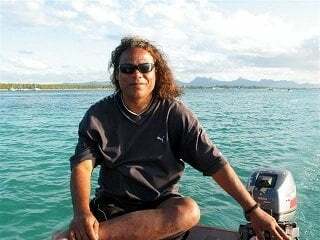 Although Alain naturally has a wealth of experience in big game fishing, he also does bottom fishing, jigging, drift fishing, and surfcasting. He loves and uses all fishing styles and techniques. It was very exciting morning fishing trip. Me and my 7 years-old son enjoyed it. 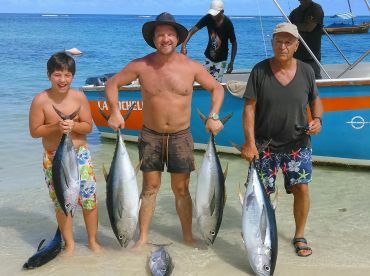 Our catch wasn’t very impressive (7 not big tunas) but exciting fighting with fishes was unforgettable experience for the young man. Great value for money, a wonderful experience with friendly and helpful skipper Alain and his mate. Had a Nice day on sea fishing with a Great crew. They are very skilled and do whatever they can to catch. Good variation in method from live bate to trolling. Good food and drink. Small but nice local type boat that worked good. 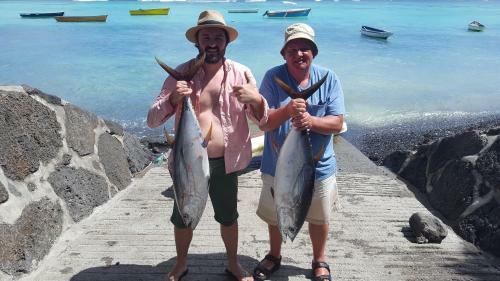 Not a huge catch But a very Nice trip with very Nice people?? Who needs navigation systems when you have Alaine!? We set off trolling in the pitch black before sun rise to get to the spot first and it certainly paid off! 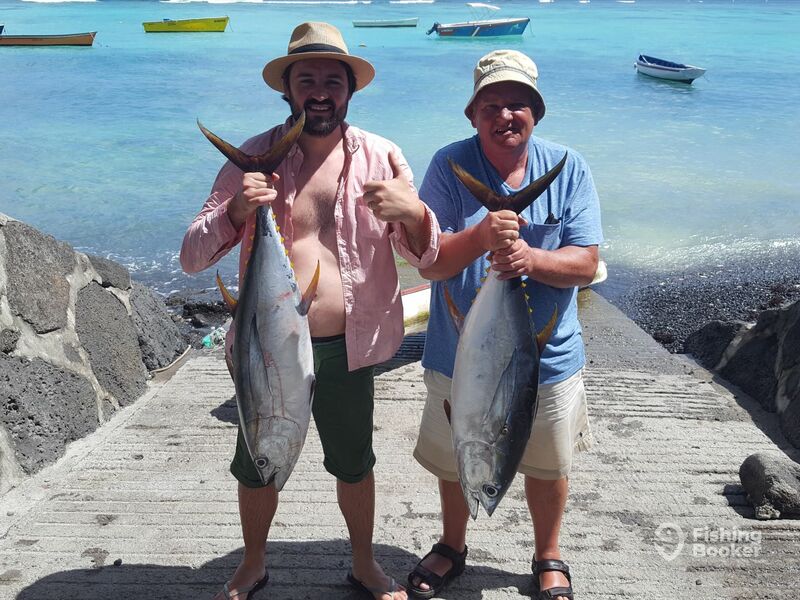 Before we had even finished 1 full lap of the FAD off went the rod with our diving lure on- a decent yellow fin around 15kg for our efforts. 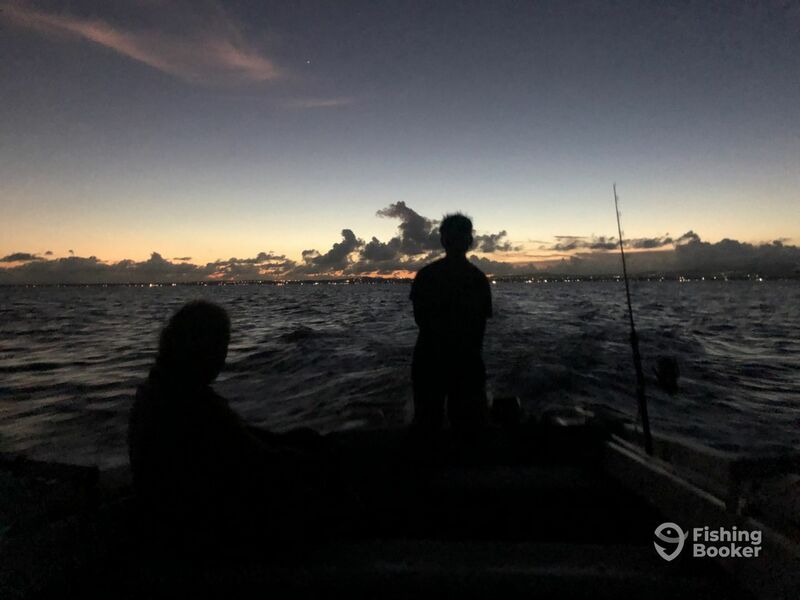 Alaine had caught live bait the night before in preparation for our trip so we had the best chance of presenting a good bait to the tuna and dorado we were targetting. 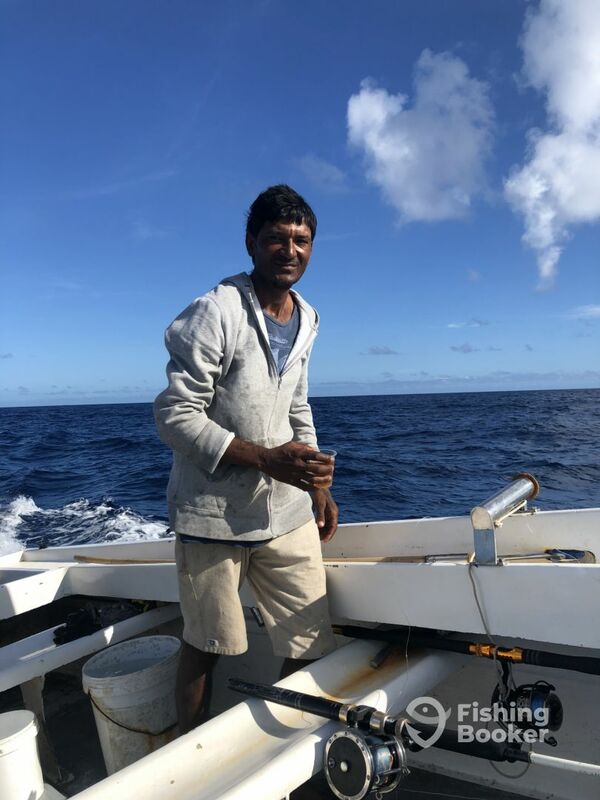 After an hour or so off went another rod we had the live bait on but unfortunately this time the line snapped and we were unlucky, Joe the gaff man thought it was a better size Tuna. 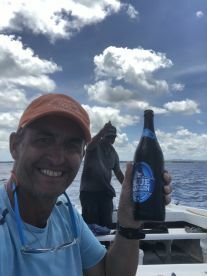 The next couple of hours we kept 3 rods on live bait and 1 on jigging a rubber lure, there were 4 more boats around but all was quite and we were the only boat to catch anything. 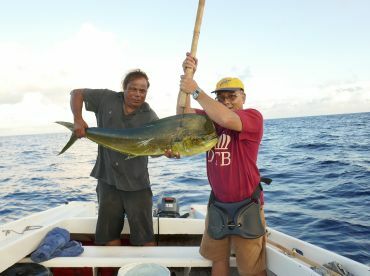 Around 9am without warning off went the live bait rod again which had been weighted to the bottom, we were in to another tuna. 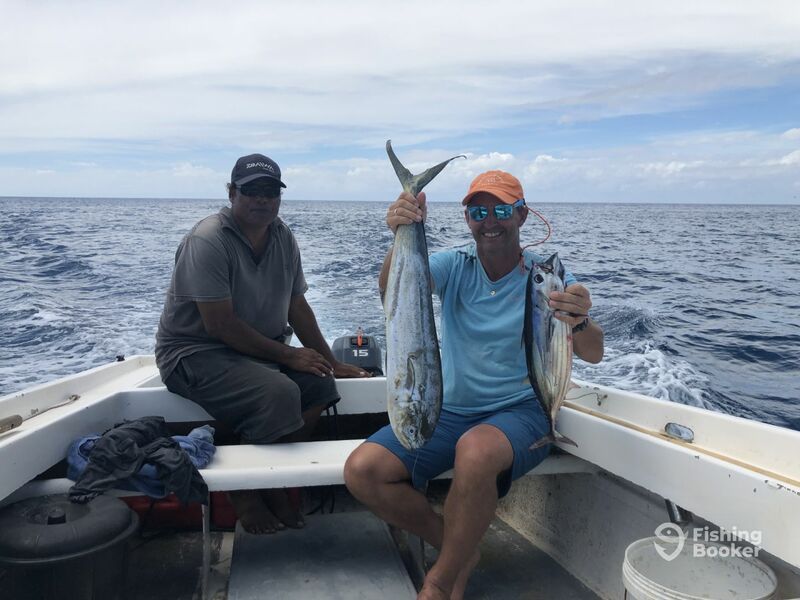 There was a very decent fight on the light rod and reel and it took nearly 20 mins to pull in the yellow fin which actually turned out to be smaller than the first. 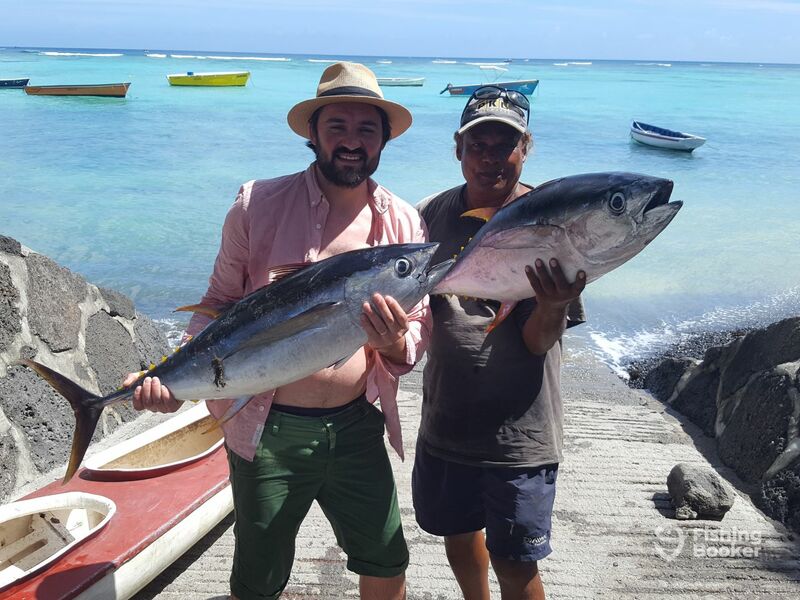 A short while later the tuna came to the surface to feed and were even jumping chasing the bait fish, Joe spotted a large yellow fin but still no other boats were catching! 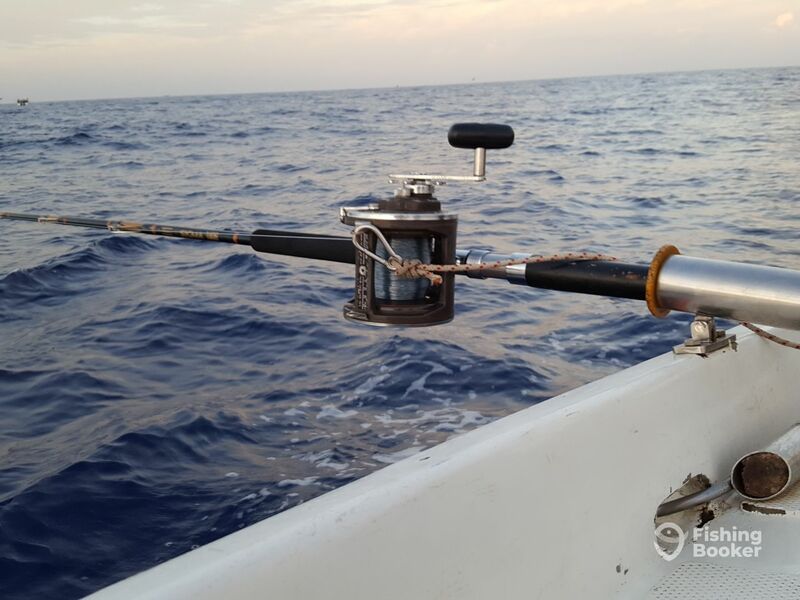 By 10am we decided to call it a day- happy with our catch we set the trolling rod and headed back to shore. 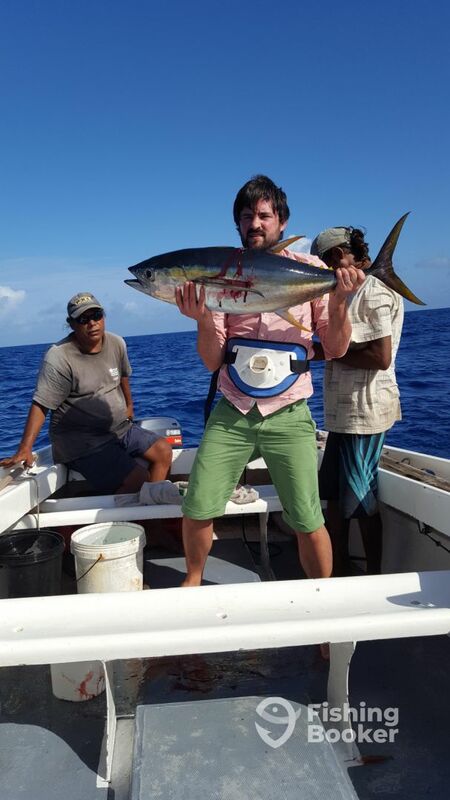 Overall a great trip on a good tratitional boat with a great crew. It was my dads first sea fishing trip and he loved it, we both can’t wait to go again. Best of luck until next time. thank you for a nice day with you. I am sorry that the Feedback is like it is,...Its real. He is kind and helpfull! As well he knows how to fish! The boat jeah its an easy one,... but thats ok,... littlepit more cleaness maybe thats why I voted with no! but it was nearly what I ecpected when I booked so not that bad! About the fish I ecpected,... I did not got it! But thats fishing!! For everyone who dont understand I Do! All at least Alaine ist a well fisher he knows how it worked and is more than friendly! I had a good time with him!